← With Friends like these………. Unison members joined the junior doctors on their picket this morning to show their solidarity with their action in defence of the NHS. 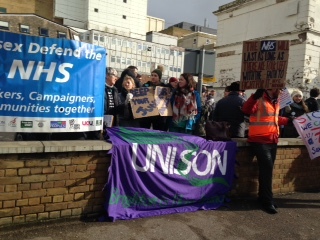 We have invited a BMA member to address the Unison branch AGM on Tuesday, 22nd March at 5.30pm in the Council Chamber at Brighton Town Hall. All members welcome!